In earlier centuries, the Bahamas was a favourite haunt of pirates and buccaneers. Today, the Bahamas is one of the worlds preferred jurisdictions for the wealthy and famous. It is one of the 10 leading international financial centres. Its close proximity to Miami, Florida (45 minute flying time) ensures that good air connections link the country to the United States and the rest of the world. The Bahamas has for more than 280 years been an uninterrupted parliamentary democracy, which makes it one of the most stable countries in the world. The Bahamas was a British colony until it gained independence in 1973. It is a member of the Commonwealth of Nations. The Head of State of the Bahamas is HM Queen Elizabeth II, represented by a Governor General. The country provides an attractive place to do business and make investments due to its advanced and business friendly legislation. The Bahamas is home to about 400 licensed banks and trust companies with total assets under management of about US$ 200 billion. The economy relies heavily on tourism and financial services. The Bahamas has a pool of highly skilled workers due to these developed industries. The World Bank has rated the Bahamas as the most economically prosperous Caribbean Community (CARICOM) country. The Bahamas has no personal, capital gains, estate gift or inheritance taxes. There is also no corporate tax unless revenue is derived from within the Bahamas. There are, however, import duties. A VAT of 7.5% is payable on most goods and services purchased locally or imported into the Bahamas. Payroll taxes fund social insurance benefits and amount to 3.9% paid by the employee and 5.9% paid by the employer. The Bahamas adheres to international standards of transparency and tax information exchange. The government has brought into force the International Tax Cooperation Act, 2010, and concluded twenty-two tax information exchange agreements. The Bahamas and Australia have signed a Tax Information Exchange Agreement. 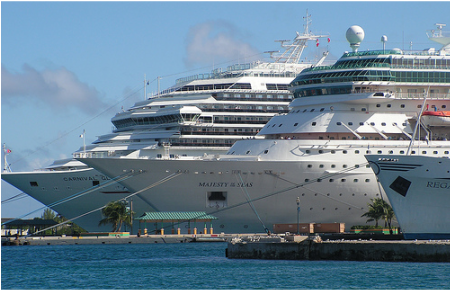 Among major foreign investments in the Bahamas are the Grand Bahama container port by Hong Kong's Hutchison Port Holdings (HPH); The Westin and Sheraton resorts at Lucaya by Hutchson Lucaya Ltd; the Atlantis, Paradise Island, mega resort by Kerzner International Ltd; the Wyndham Nassau Resort and Crystal Palace Casino and Convention Centre, Sheraton Cable Beach Resort and Nassau Beach Hotel by the Baha Mar Development Co; Sandals Royal Bahamian Resort & Spa, by Sandals resorts; SuperClubs Breezes Bahamas, by SuperClubs SuperInclusive Resorts; and the British Colonial Hilton Nassau, by Adurion Investment Management. be interested in an area that isn't reserved for Bahamian's. Domestic advertising and public relations firms. If investors are interested in areas not included in the above two lists, they are encouraged to bring their interest to the attention of the BIA. The consulate is also here to provide assistance with any of your business and investment questions and introduction needs. The Bahamas offers a range of investment incentives for those who invest in hotels, free trade zones, export manufacturing, etc. To learn more visit the Government's Investment Incentives page. Foreign real estate ownership is permitted. A foreigner who purchases a home in the Bahamas can now simply apply to the Secretary of the Investment Board, which will register the purchase and issue a Certificate of Registration. Larger purchases involving acreage requires a permit via the Bahamas Investment Authority.